If you asked me which “underground” Idol group would be the next to sign a major label deal, PassCode probably wouldn’t have been the first name that came to mind. That’s not me throwing shade or anything like that, it’s just that their kind of music isn’t really something I’d imagine that a record label would really be looking for. Apart from that though, it does make a lot of sense seeing as they’ve done pretty much everything there is to do without the monetary backing of a label to take them to the next level. They’ve also got a pretty decent following which is an attractive proposition for potential investors. So PassCode have signed with Universal Music Japan, which means they’ve at least managed to escape the Avex curse. That’s already a massive win in my book, because you guys all know how I feel about Avex at this point. I guess PassCode still have some life in them and didn’t think signing with the label where careers go to die was a sound business move or something. That’s just pure conjecture on my part though. Even if it isn’t with Avex, major debuts are still difficult waters to navigate and there are still plenty of ways to screw up groups in the quest for more fans and more money. 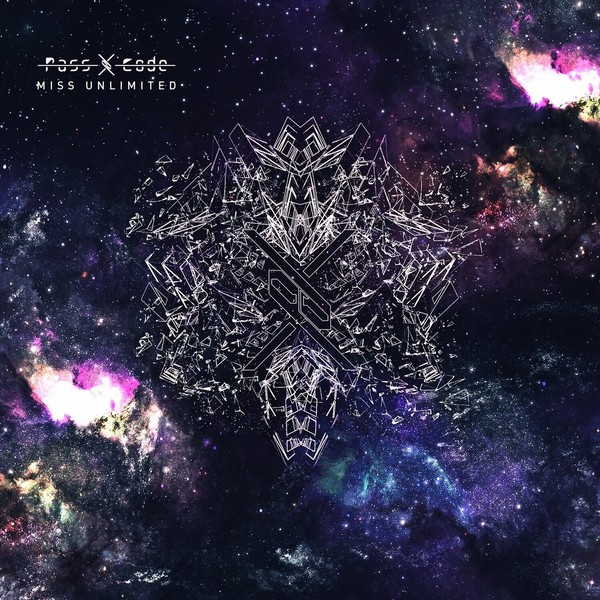 I reviewed PassCode’s debut album on the site a few months back. You can go here to check that out if you want to read the whole thing, but the gist of it was that I thought all of the songs were pretty good. The only real problem I had with it was that the songs were pretty similar sounding, so listening to an entire album of them from front to back got pretty brutal towards the end. That’s why I’m kinda interested to see what happens with this major debut and to see if Universal bring any new ideas to the table to maybe freshen PassCode up a little bit. Let’s see how they did. Well, I did say I’d be interested to see if a major label debut would freshen PassCode up a bit didn’t I? I guess incorporating some light Chiptune elements is something a bit different than what we’re used to seeing. You could probably make an argument either way for this being the next logical evolution in their sound or just lazy producing. I think it’s unobtrusive enough so as not to alienate any of PassCode’s existing fanbase (unlike what some other major labels do to groups they sign) and it does sound pretty fresh, to my ears anyway. Besides the whole Chiptune deal, I really enjoyed the use of actual real piano on this song. A lot of groups doing this style of music just throw a bunch of effects on top of their piano tracks so it was pretty nice to hear PassCode keep it fairly simple. The rest of the instrumentals are fairly standard PassCode fare, so Universal doesn’t seem to be trying to reinvent the wheel with them, just yet anyway. The vocals are pretty good, with the typical modulation you get on this style of track. I do kinda wish there was more of a hook or something but “MISS UNLIMITED” is a pretty solid song without one anyway. “TRACE” is the first of the two b-sides listed in the iTunes version of this single and I believe it’s the b-side featured on the limited edition physical release (are any of these things ever actually limited edition?). I’d say that this is a more typical sounding PassCode song than the a-side so if you’re a longtime fan and you weren’t overly impressed with it, don’t worry you are still very much being catered to here. I guess that was my main concern, that signing with a major label would mean throwing the baby out with the bath water like certain groups have recently *coughMosoCalibrationcough*. To expand a bit more on the song, it features the now signature synth sound that PassCode are known for. It’s not overly original or anything like that, but it does provide a strong base on which to build the rest of the song. There’s a lot of screaming on the vocal track which I thought was done really well. The non-screaming parts I thought were pretty catchy and had a good structure and rhythm to them. There was pretty weird part in the song about a minute in where I thought my headphones or soundcard was about to break, but I guess it was just a cool effect they threw in. Overall, “TRACE” is a pretty good song that I don’t think any PassCode fan will have any problems with. iTunes lists “Cry Out” as the second b-side on their version of this release and unless I’ve totally mixed things up, I believe it comes on the regular edition of the physical copy. Much like “TRACE”, this song is pretty heavy on the synths although I would say that “Cry Out” is probably a bit more energetic and uptempo. It’s still a PassCode song, that’s for sure but this one brings a few things to the table that we don’t see very often from the group. Listening to this song, I’m struck by the fact that PassCode and Universal appear to have laid a lot of their cards on the table with this release. What I mean by that is, apart from the Chiptune in “MISS UNLIMITED” and the usual PassCode sound in “TRACE”, “Cry Out” kind of goes all out to include a bunch of different things that would have perhaps been better served being spread out over multiple songs. There’s some ballad elements in here, there’s rapping too, the usual screaming and clean vocals also make an appearance. It’s a pretty good song when all is said and done, but I do have to question why there was a need to have all of this stuff going on at the same time. What’s going to happen when it comes time to work on the next single for example? You’ve kind of already used everything you have on this one. Or maybe I’m the only person who cares about stuff like that. As far as first singles under a major label go, “MISS UNLIMITED” is pretty good. 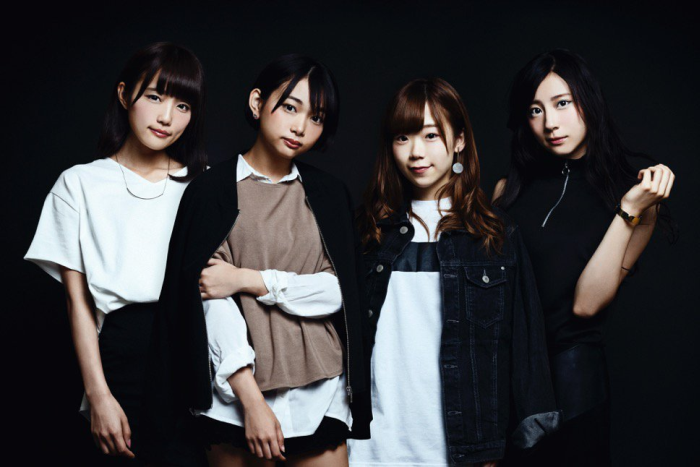 They’ve stuck to what PassCode do best and what they know is going to sell to their current base but at the same time they’ve worked in some slightly more mainstream elements. That’s probably not a bad idea, because the style that PassCode has can be somewhat limiting when it comes to song composition so having new elements to incorporate will hopefully keep things at least somewhat fresh. My only real issues with this release is that the song are kinda familiar if you’ve ever heard a song from PassCode before. It’s not a bad thing to have a defined sound, but like I said previously it’s hard to really do something too different with the current tools PassCode are working with. I’m also not really sure how the music evolves from here, PassCode are in the awkward position of what they’re doing currently works but there is only so much you can do before ideas start to get a little thin. It’s definitely going to be interesting to see what the next year or so of releases end up looking like.